A conservative watchdog group has filed a Freedom of Information Act (FOIA) lawsuit against the State Department, Department of Homeland Security and Department of Defense over Obama-era records pertaining to anti-Israel BDS groups. Judicial Watch filed the FOIA lawsuit in order to obtain records from 2015 of groups affiliated with BDS movement, which lobbied “the Obama administration to adopt policies to harm companies doing business with Israel,” the group said in a statement. The lawsuit occurred “after all three agencies failed to respond to nearly identical April 23, 2018, FOIA requests,” the organization explained. The lawsuit states, despite Obama signing the 2015 Trade Enforcement Act, “the Customs and Border Protection Bureau restated the West Bank Country of Origin Marking Requirement rules requiring labeling of goods as being from the ‘West Bank,’ despite the fact that it is not a sovereign country,” reported Judicial Watch. The Endowment for Middle East Truth (EMET) applauded the move by Judicial Watch. 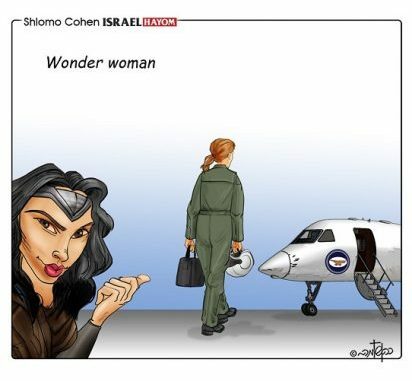 The Israeli Air Force has appointed the first female squadron commander in its 70-year history. According to Israel’s Channel Two, the commander, who for security reasons is referred to only as “G.,” will be promoted to lieutenant colonel and put charge of the 122nd Squadron, known as “Nachshon.” The squadron is composed of planes specifically geared toward intelligence gathering. The 34-year-old G. has been active in the Air Force since 2003, and has served in several command positions, including deputy commander of the “Nachshon” Squadron itself. Sharing smiles and hugs, the extended family of Rashida Tlaib, who is set to become the first Muslim woman to join the US Congress, celebrated her election victory in the courtyard of their West Bank house on Wednesday. The oldest of 14 children born to a family of Palestinian immigrants, Tlaib is a Detroit native. Her father worked at a Ford Motor Company plant in the city, home of the US car industry, and she became the first Muslim woman elected to the state legislature. On Tuesday, she won her district’s Democratic nomination for Michigan’s 13th Congressional district, encompassing parts of Detroit and surrounding suburbs and home to one of the largest Muslim and Arab-American populations in the United States. Since no one ran in the Republican primary, Tlaib is poised to win the seat. Many focus on the question of whether Jeremy Corbyn is an anti-Semite himself. He may or may not be. However, his deliberate actions to reject the Jewish community’s concerns, silence his moderate Labor detractors, and pedal anti-Zionism as central to his political image show that he is more than happy to utilize anti-Semitism for political purposes. Anti-Zionism—and by extension, giving credence to anti-Semites—is fundamental to the worldview Corbyn has cultivated on his journey to political stardom. For most of his political career, Corbyn was a fringe socialist politician and supporter of the USSR, Syria’s Bashar al-Assad, the Iranian ayatollahs, and the Venezuela of Nicolas Maduro [and Hugo Chavez]. After becoming Labor leader, Jeremy Corbyn toned down some of this support for radical anti-Western groups. Nonetheless, he has consistently maintained his support for anti-Zionist causes. What’s undoubtable is that throughout his career, his ultimate goal has remained the same: rejecting Western values and embracing the alliance between radical socialists and Islamists in a strategic bid to normalize and implement socialism in the UK. Politically, Corbyn’s strategy is working: according to a recent YouGov poll, 61 percent of the party believes Corbyn is handling accusations of anti-Semitism well. And 80 percent of the party deems him a good leader overall. The events of the past few weeks indicate that the Labor leadership has been able to build on their apparent success to . . . distance themselves from the overwhelmingly Zionist British-Jewish community. This perhaps became most apparent last Friday, when Jeremy Corbyn published another article in the Guardian disregarding his part in normalizing anti-Semitism in the party. The piece came out at 5:00pm, when the majority of Jews in the country were busy preparing for the Sabbath. This thread focuses on the car bombing of the Israeli Embassy & Balfour House, North Finchley in 1994 and Mr Corbyn’s support for those convicted of this terrorist outrage. Labour staff have seen examples of Holocaust denial, crude stereotypes of Jewish bankers, conspiracy theories blaming 9/11 on Israel, and even one individual who appeared to believe that Hitler had been misunderstood. Mr Corbyn should know all about 9/11 conspiracy bunkum. He has been an enthusiastic champion of Raed Salah, one of the notable peddlers. Raed Salah is the leader of the northern branch of the Islamic Movement in Israel. It is close to Hamas and the Muslim Brotherhood. Salah visited the UK in 2011, planning to speak alongside MPs as part of his tour, including Mr Corbyn. A senior lawmaker in the British Labour party has come under fire after a 2012 video surfaced that saw him claiming Israel was attempting to commit “genocide” against the Palestinians. The opposition party, which has been mired in an ongoing anti-Semitism scandal, defended John McDonnell after the clip was published by the Daily Telegraph. McDonnell is the UK’s shadow chancellor of the exchequer, having been appointed to the post in 2015 by Labour party leader Jeremy Corbyn, who has been repeatedly been accused of being soft on anti-Semitism among his party members. “I think it’s absolutely critical now that we use every platform we can to expose what’s going on, which is effectively an attempt at genocide against the Palestinians,” he charged at a far-left rally organized by the Unite the Resistance organization. Once again, the East London Mosque has well-known and established links to a series of misogynistic and homophobic speakers. It gets worse. Lord Sheikh has links to the hugely controversial Interal charity, which was investigated by the Charity Commission over its links to Hamas. Birthright Israel co-founder and billionaire philanthropist Charles Bronfman said on Wednesday that young Jews are free to criticize Israel, but not while enjoying a free trip, JTA reported. “If people want to call Israel names and say bad things about the country, they certainly have the right to free speech. But they don’t have the right to do it on our nickel,” he was quoted as having told Haaretz in an interview. His comments came after at least two groups of American Jews visiting Israel on the 10-day trip left the tour to join leftists groups on visits to Palestinian Arabs. The walk-offs reportedly were encouraged by the leftist American-Jewish group IfNotNow. The young Jews who walked off the trip and some others who remain on them are critical of what they say is Birthright’s failure to deal with Israel’s alleged “occupation” of Judea and Samaria. Some have complained that maps handed out to participants do not draw a proper distinction between Israel and Judea and Samaria. Bronfman said in his interview with Haaretz that participants on Birthright can extend their trip and join any kind of group they want or travel on their own to areas controlled by the Palestinian Authority. “If they want to go to the West Bank or Gaza, they are certainly free to go,” he was quoted as having told Haaretz. “What is not fair is making a big tzimmes while the trip is on. Frankly, I just don’t think that is fair to their fellow participants,” added Bronfman. Why the hyperbole? Because 3 years ago, during the Obama administration the Deputy Associate Director of Homeland Security Investigations, one man, Peter Edge joined a delegation to Israel sponsored by the ADL. But if you uphold the right to boycott, you necessarily need to uphold the right to counter-boycott. The problem with this is that AAUP upholds the right to boycott, but only on one side. Substantively it opposes both the boycott and counter-boycott, but procedurally it upholds only the right of the boycotters. AAUP also sent a letter to Israel regarding Israel’s denial of entry to Columbia Law Professor Katherine Franke, an academic boycott supporter. Again, AAUP upholds Professor Franke’s right to boycott Israel and Israelis, but does not uphold the reverse. It does not matter that it is the Israeli government boycotting Professor Franke, since the BDS movement regularly seeks to impose government boycotts of Israel. So governmental power is used by both sides. By turning academia into war by other means, the anti-Israel academic boycotters invited relatiatory boycotts. By affirming the rights of the boycotters to boycott Israel, but rejecting the right of Israel and supporters of Israel to counter-boycott, AAUP is not consistent or principled. Genocidal expression, such as images and language promoting the killing of Jews and destruction of Israel, “rose dramatically” over the past years, with at least 75 percent of such incidents “involving classic anti-Semitism” and “genocidal expression,” according to the report. The number of such incidents appear to have dropped slightly from 2017 to the first part of 2018, the report notes. Most notably, according to the report, “Israel-related incidents were significantly more likely to contribute to a hostile campus,” the report found. One underlying message that modern mass media offers about Israel is that Jewish power and sovereignty in the land of Israel is a threat or obstacle to the welfare of people living in the Middle East. This dishonest narrative, which fits the agenda of authoritarian regimes and de-stabilizing political movements that use anti-Zionism as a unifying political agenda, infects much, if not most of the media coverage of the Jewish state. This “blame-Israel” narrative is so ubiquitous that it comes as a shock when a news outlet gets it right and portrays Israel as a force for good in the Middle East. But it does happen. It happened in an article published on July 11, 2018 in the online edition of The Christian Science Monitor and reprised in the July 30, 2018 issue of The Christian Science Monitor Weekly. The article, titled “Syrian war comes to Israel’s doorstep, brings swirl of changing attitudes,” was written by Dina Kraft. In the article, Kraft recounts how 10,000 people fleeing from Syrian Civil War have come to rely on Israel for their welfare and safety. They have gathered near Syria’s border with Israel because of the protection the Jewish state affords them under “Operation Good Neighbor.” The program provides food, fuel, medical supplies and in some instances medical treatment to people living in villages near Israel. As a result of the program, “[s]ome 5,000 Syrians have been treated in Israeli hospitals,” Kraft reported. These acts of kindness have changed how many Syrians view the Jewish state, the article indicates. A shocking documentary about Sweden’s ruling Social Democratic Party, shows how the leftist party ‘inspired and helped’ Nazi Germany. The documentary, produced by the party’s right-wing opponent, the Sweden Democrats, was removed by YouTube yesterday in an act of censorship. But after a backlash it is now visible again on the social media channel of broadcaster Samtiden Dokumentär. Ironically the documentary starts with the leader of the leftist Social Democratic Party, Swedish prime minister Stefan Löfven, telling how the right-wing Social Democrats historically have Nazi roots. But now the Sweden Democrats are hitting back and have produced this documentary to tell the truth about their leftist opponents. And it is revealing as it shows that the Swedish Social Democrats inspired Nazi Germany on the issue of Eugenics or “ethnic cleansing”. A Jewish woman living in Belgium said her family has been targeted with anti-Semitic abuse since one of their neighbors discovered they were Jews. Computer and video games can include swastikas and other Nazi symbols, a German industry body said Thursday, after a heated debate over the “Wolfenstein” franchise in which gamers battle Third Reich forces. In the wake of this past weekend’s vandalism incident at the childhood home of the late Holocaust survivor and Nobel laureate Elie Wiesel in Romania, there has been an outpouring of solidarity from across the globe, the curator of the museum at the site told The Algemeiner on Wednesday. Alina Marincean said the incident — in which antisemitic graffiti was scrawled on the home — came as a surprise to both museum staff members and local residents in the city of Sighetu Marmatiei, located in northwestern Romania near the border with Ukraine. “Nothing of this sort ever happened to us and we are organizing yearly public events with a great impact on the local and regional community,” she noted. “There were also visits at the museum from politicians and intellectuals from Romania who wanted to point out the importance of this place that keeps Elie Wiesel’s work and memory alive, as well as the memory of all those 38,000 Jews who never returned to their homes after May 1944,” she added. Israel’s Lonah Chemtai Salpeter won the women’s 10,000-meter run at the 2018 European Athletics Championships in Berlin Wednesday, completing the race in 31 minutes, 43.29 seconds. Israeli-Kenyan Salpeter came 9 full seconds ahead of Susan Krumins of the Netherlands, winning the gold medal. Sweden’s Meraf Bahta came third. The 29-year-old became the first Israeli to be crowned European champion. Salpeter will receive a grant of NIS 40,000 (some $11,000) from Israeli sports authorities for her win. Born in Kenya, she first came to Israel in 2008, working as a caretaker at Kenya’s embassy in Tel Aviv. While running at a Herzliya park, she was noticed by running coach Moti Mizrahi, who suggested she train professionally. Israel’s Ministry of Tourism has announced that 2.4 million tourists have visited Israel since the beginning of 2018, a 17% increase in tourists for the same period in 2017. Citing findings from Israel’s Central Bureau of Statistics, the ministry said in a statement that the number of tourists is 46 percent more than in 2016, almost double the number of tourists that entered during the same period that year. According to the ministry, 293,400 tourists entered Israel during July 2018 alone, which is around eight percent more tourists than in July 2017. Levin also praised the ministry’s marketing initiatives and “innovative activities… Together with the incentives for airlines and investments in infrastructure,” for contributing to the rise in tourism. A 2,200-year-old golden earring was discovered at the City of David’s archaeological excavation just outside the walls of the Old City of Jerusalem, shedding light on life in the city after it was conquered by the Greeks. The rare artifact depicts a finely-crafted head of a horned animal and delicate filigree work, and is believed to date back to the second or third century BCE, a period during which the Temple was the center of Jewish life, but the region was controlled by the Greeks and a significant percentage of the Jewish populace was influenced by Greek culture and beliefs. 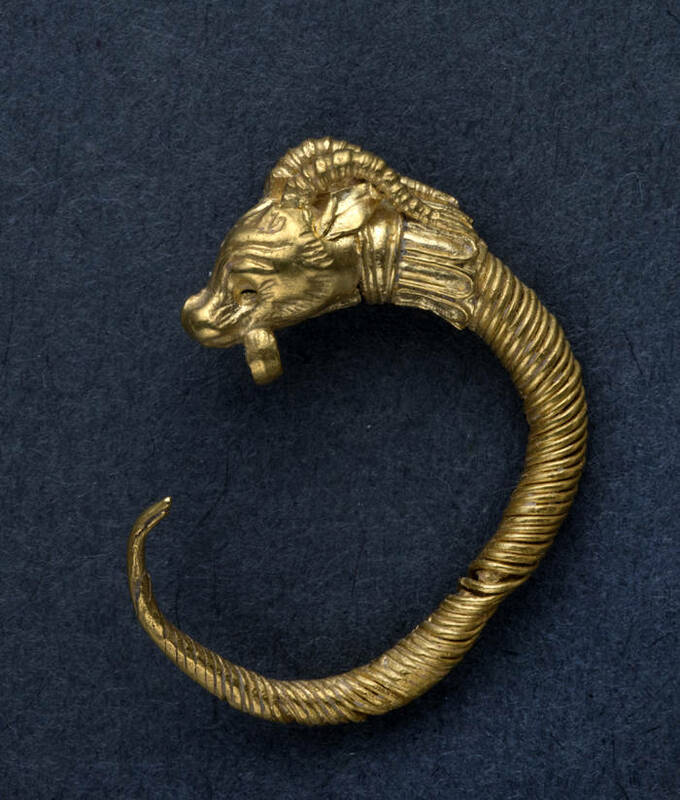 During the time period the earring is believed to be connected to, Judea was a semi-autonomous Hellenistic vassal first under the rule of Ptolemaic Egypt from 301 to 198 BCE, and then under the Seleucid Empire, after Antiochus III conquered Jerusalem. Shortly afterwards, Jews who were not Hellenized ultimately took part in the Maccabean Revolt of 167 BCE, which is commemorated in the Hanukkah story. According to Professor Yuval Gadot of Tel Aviv University, co-director of the Givati Parking Lot excavation, the find is the first earring discovered in Jerusalem from the Hellenistic period, found in an early-Hellenistic period building deep inside the dig.